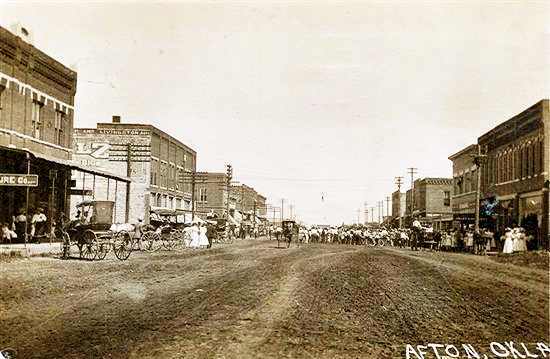 Early day street scene at Afton, Oklahoma. A large crowd of people is gathered for some event. 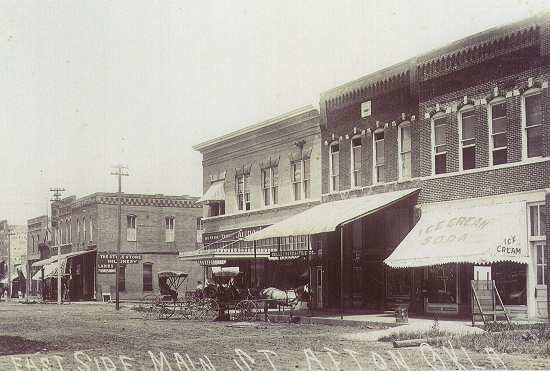 Afton is one of the earliest towns in Ottawa County and probably started about the time that the railroad was built through there about 1870. Many passenger trains stopped there in the early days. 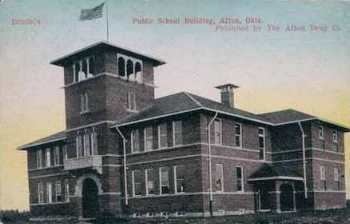 Postcard view of an early day school at Afton.